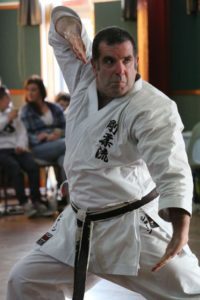 I started practicing Karate when I was 16, for about 5 years mainly with the Palmerston North Seido club run by Sensi Richard Ivies. 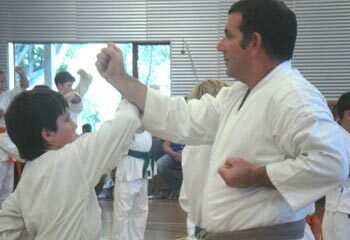 After a long break I returned when my sons wished to learn, initially with Graeme Lloyd at Glenroy and later in Darfield. This was followed by another break until Sensei Hayden started the Darfield Club where I train with my three boys Aidan, Callum and Kieran. I achieved my Sho Dan in 2010 then my Ni dan in 2017.